This zone was very busy in ASK with over 700 questions sent to scientists, who between them gave over 1,000 answers. Sonia and Maureen were the most active scientists, making up 90% of all chat lines between them. Students in this zone showed a general interest in the zone’s theme, asking questions about data but also discussing more widely computers, languages and coding. Nearly a third of the questions put to scientists in ASK concerned careers and education. 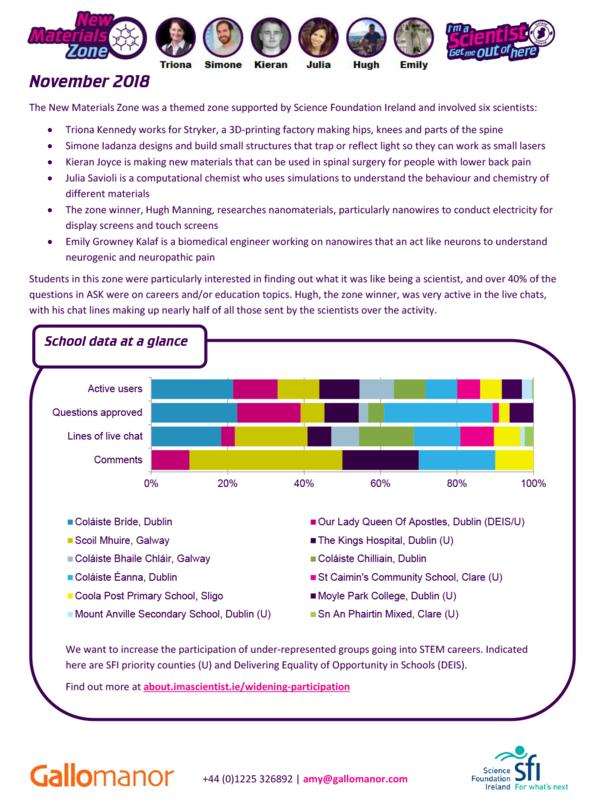 Students in this zone were particularly interested in finding out what it was like being a scientist, and over 40% of the questions in ASK were on careers and/or education topics. Hugh, the zone winner, was very active in the live chats, with his chat lines making up nearly half of all those sent by the scientists over the activity. 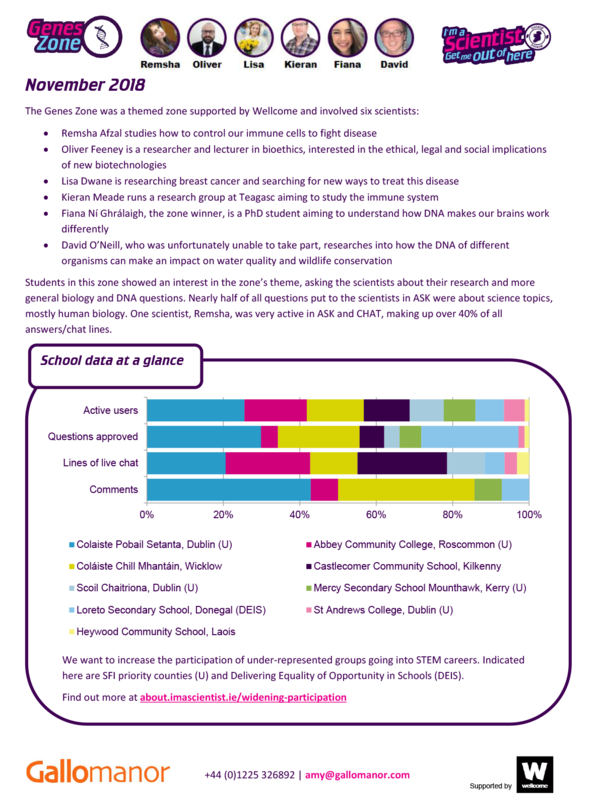 Students in this zone showed an interest in the zone’s theme, asking the scientists about their research and more general biology and DNA questions. Nearly half of all questions put to the scientists in ASK were about science topics, mostly human biology. One scientist, Remsha, was very active in ASK and CHAT, making up over 40% of all answers/chat lines. 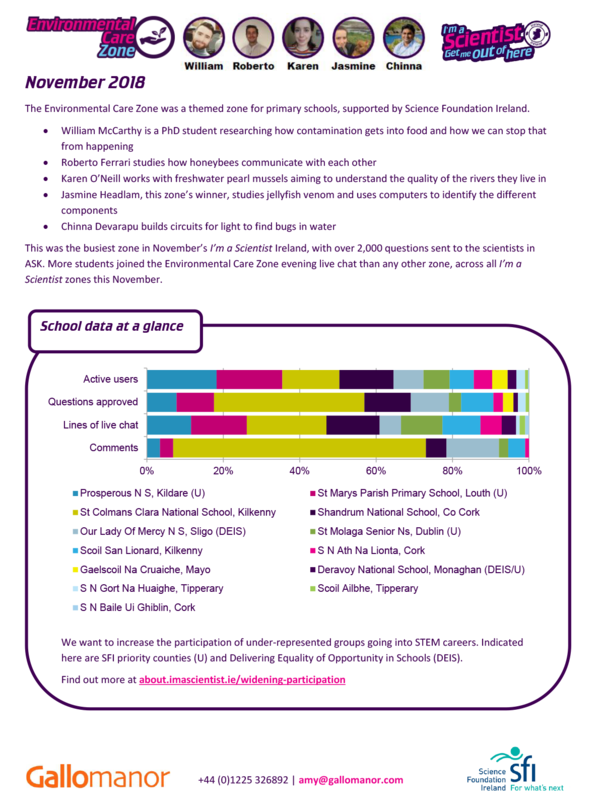 The Environmental Care Zone was a themed zone for primary schools, supported by Science Foundation Ireland. 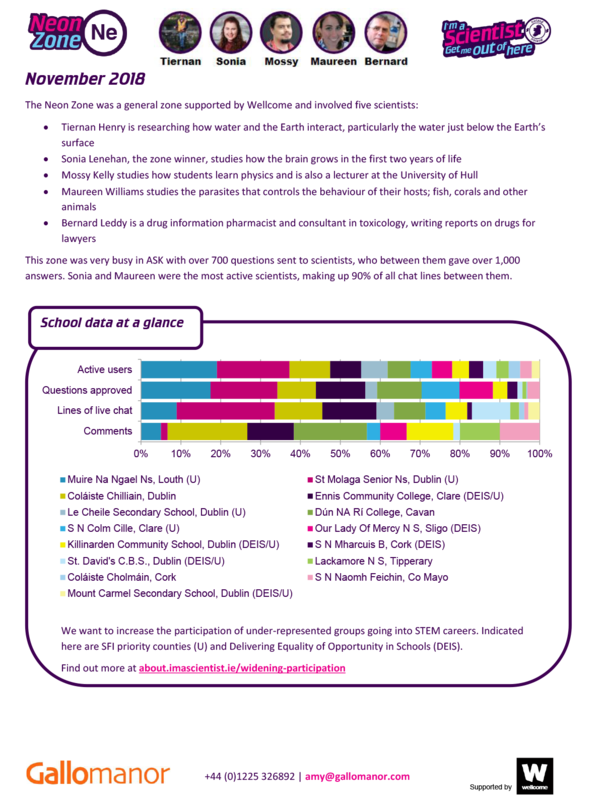 This was the busiest zone in November’s I’m a Scientist Ireland, with over 2,000 questions sent to the scientists in ASK. More students joined the Environmental Care Zone evening live chat than any other zone, across all I’m a Scientist zones this November.